Run RescueAssist as a service to enable system commands like Ctrl-Alt-Del. 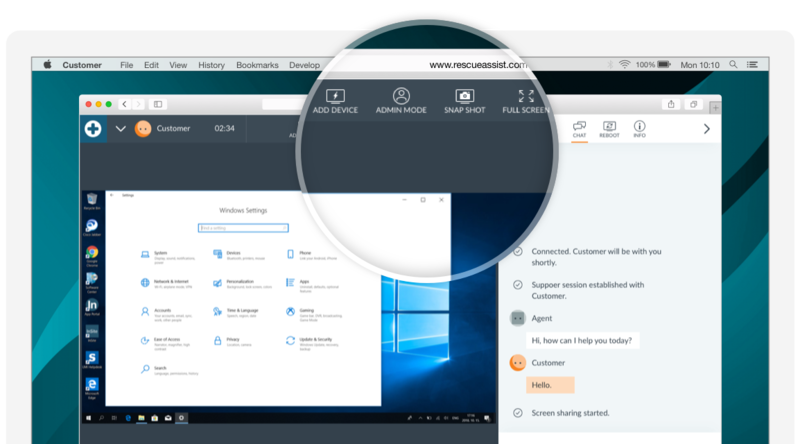 The RescueAssist desktop application automatically runs as a service when you connect to a customer’s computer. In other words, the application will continue running even if the customer logs off, and it can start up before they log in to their system. This lets you perform commands with administrator-level access. Take advantage of system commands. 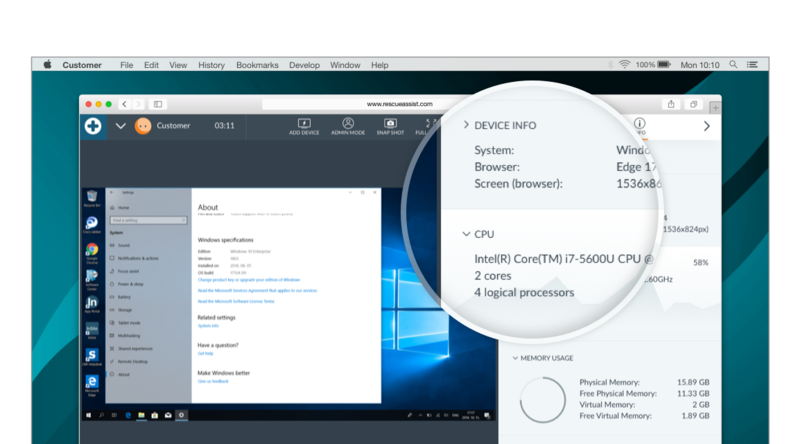 If you’re helping a customer on a Windows machine, you may need access to the system control menu, where you can switch users and start the Task Manager. Through RescueAssist, you can easily send theCtrl-Alt-Del command to open the menu. You can also reboot the computer, and RescueAssist will automatically reconnect on startup. Stay in session without worry. Sometimes you have to shut down a customer’s computer for tasks like software installations or system upgrades. Rather than ask a customer to restart the machine and then re-join you afterward, RescueAssist can do it automatically. You can even restart in safe mode if needed. Once the computer is online again, the customer reconnects, just like that. Although RescueAssist will attempt to run as a service by default, it can still run as an application if the situation calls for it. This is usually the case when the customer has limited log-in credentials. However, if you enter admin credentials during the session, you can easily upgrade to running as a service from the RescueAssist toolbar. Securely send and receive files in a live or unattended support session.